LONDON: Britain has granted political asylum to Baloch leader Nawabzada Hyrbyair Marri, tacitly acknowledging that the life of fiery Baloch nationalist leader was at risk if returned to Pakistan. Hyrbyair Marri, former Balochistan Assembly lawmaker and one of six sons of veteran Baloch leader Nawab Khair Baksh Marri, had applied for political asylum in Britain four months ago for himself and his wife and five children. He had entered Britain in 2000 after sneaking out of Pakistan where he was being sought by Pakistani spy agencies on various charges. Initially Marri’s asylum claim was turned down by the Home Office and stated in the refusal letter that Hyrbyair’s life will be safe in Pakistan as his father still lived in Karachi and didn’t face harassment from the state authorities. Hyrbyair took his case to the asylum and immigration tribunal where his lawyer successfully argued that not only Hyrbyair’s elder brother Balach Marri was assassinated allegedly by Pakistani secret services but also his younger brother Mehran Baloch, who runs an advocacy group called Balochistan House at the European level, remains on the run and has not stepped inside Pakistani territory in over 10 years. The immigration judge was told that from former president Pervez Musharraf to Interior Minister Rehman Malik had personally threatened and warned Hyrbyair of the repercussions for his alleged anti-Pakistan activities. That according to the defence arguments, seen by The News and continuing heavy-handed military operation in areas populated by the Bugtis and Marris, coupled with the ever-deteriorating law and order situation in the country rendered Hyrbyair at the potential risk, and law enforcement agencies could easily take him out directly or in a fake encounter. 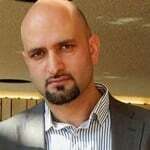 The News is aware that senior PPP government officials, including the Pakistani foreign office, contacted the Home Office and assured them that Hyrbyair will be provided safety and security if returned and further tried to assure that the former Balochistan Assembly lawmaker-turned-rebel was only exaggerating threat to his life. Hyrbyair was arrested, along with a young Baloch rights campaigner Faiz Baloch, on December 4, 2007. They were arrested on charges of inciting others to commit murder abroad. Mr Marri spent four months in jail whereas Faiz Baloch was detained for eight months. After a lengthy trial of over 40 days, both men were acquitted by an ordinary British Jury of 12 men and women. Faiz Baloch, who applied for political asylum in September 2002, is still in a limbo, and the young campaigner remains clueless about his fate in Britain. Speaking to The News, Hyrbyair commented: “It pains me more that I am not with my people who are standing steadfast against the State onslaught. I am glad though that I have been exonerated for the second time by the British courts, despite the British government’s tooth and nail opposition. “The British government knows there are serious problems in Balochistan but doesn’t have the courage to stand up to Pakistan. The neutral immigration court has given its verdict in my favour by acknowledging the fact the meltdown in Balochistan is for real and that life has been made difficult for those who seek independence and right of self-determination. I knew that British justice system will not let me and the people of Balochistan down. These are independent courts, free of political influence.” He said that now when he is able to travel, he will meet the Baloch Diaspora across the world and will galvanise and unite them for the Baloch cause of justice. Peter Tatchell has been at the forefront of campaigning for the release of Hyrbyair Marri from the detention in Belmarsh prison. He expressed his joy that Mr Marri was granted asylum in Britain, albeit with a lot of delay. “This decision to grant Hyrbyair asylum is very significant. It is an acknowledgement by the British government that human rights abuses in Balochistan are so widespread and grave that Mr Marri cannot return there safely. This ruling is a damning indictment of the severe political repression that exists in Pakistan. The human rights advocate added: “It is further evidence that Baloch people who want the right of self-determination are at risk of imprisonment, torture and assassination by the Pakistani military and intelligence agencies. and further tried to assure that the former Balochistan Assembly lawmaker-turned-rebel was only exaggerating threat to his life.